browser version of your account). 2) If it is not already open, click on the "Preferences" tab in the top left-hand corner. 3) Find the box in the bottom right-hand corner that says "Payment Gateway Setup." 4) Click the drop-down menu arrow, and select "MerchantWARE." 5) - If you are already a member, just click "Setup" and fill in your account information. - If you are not, click "Recommended Gateway." a. A message should pop up saying "The webpage has been opened in your browser." submission. A Merchant Warehouse representative will be contacting you shortly." "We determined from the start, that the ISO of the Year award should go to a company that has the core characteristics of a pure ISO, and has demonstrated its excellence by a number of measures, including care for its reputation, investment in its people, savvy application of technology, great customer service and, of course, consistent sales growth and retention. In other words, we wanted to honor the kind of company any one of us would be happy and proud to be a part of." StudioCloud is happy to provide this top notch payment gateway option to our customers, and hope you will enjoy the vast capabilities Merchant Warehouse will provide you. The videos on this blog post are out of date. 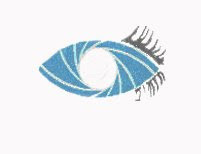 Please refer to the StudioCloud YouTube channel at http://YouTube.com/StudioCloud for the latest videos. The StudioCloud Support Team is in the process of updating step-by-step online video tutorials to help you learn how to use the many features available in the StudioCloud Basic and Professional Suites. Learn basic getting started tips, how to add clients, how to create email marketing campaigns, and how to manage your bookkeeping. Additional videos will be updated and added to the StudioCloud support page when completed, so check back regularly to see the latest additions. Click on the following links to view the newly updated online video tutorials. StudioCloud is proud to announce multi language HTML invoicing. You can now print or email your client's HTML invoices in French, Portuguese, or Spanish. Learn how to change your currency and language for HTML invoices in the StudioCloud desktop by following the instructions below. 4. Under Language and Currency click the drop down menu and select the currency and language to modify invoice information. Check out this new setting, and enjoy printing or emailing HTML invoices to your clients! The development team just released a new feature that allows you to email clients a price lists of products, services and packages created within the StudioCloud desktop. Easily notify your clients of your prices by clicking the Email Price List button located in the Price List tab under the Point of Sale icon. To use this functionality make sure your email address is correctly added under the Settings icon. Take advantage of this great new, easy to use update. StudioCloud PSG offers both in-studio and online proofing for your customers to view their photos on a projection screen in your studio or through an online gallery. Create in-studio or online events for your customers to view and order images. Invoices, client information, ordered products and services created in StudioCloud PSG are automatically integrated and updated to StudioCloud desktop suite. To learn more or download StudioCloud PSG click HERE. 1. The StudioCloud development team just added cost and vendors to the desktop application. This new feature allows you to add products to vendors as well as calculate costs of products according to vendor pricing. To make use of this new feature check out the Vendors tab located under the Point of Sale icon. 2. StudioCloud now allows you to update your payment credit card information through the billings tab under the settings icon. 3. The development team has added a network diagnostics to the PSG that allows you to test your internet usage over time, and send the diagnostics to the StudioCloud support team. 4. When a payment is added to an invoice the payments now stays in time sensitive items window indefinitely. 5. Newly added full screen mode in the Online Proofing allows your customers to view their online gallery in a larger viewing area. View the sample here. 6. Check out the latest examples of Website Integration here. Take a look at the new and improved calendar! The development team just released a new calendar across all StudioCloud products. The new design allows you to more easily view and add appointments to your daily schedule. Soon to come Re-occurring Appointments! 1. A New Client Relationship Quick Add feature is now included in the desktop application as an option when filling in client information. This feature allows you to quickly form a relationship between the current client and a new client. Add a relationship to an existing or prospective client by clicking the Add Advanced Relationship button. 2. When adding or editing a client under the Clients icon easily add dates by using the Add Dates side bar located under the Dates tab. 3. The development team has added a network diagnostic button to the Diagnostic Info window in the Preferences tab found under the Settings icon. This button pulls up a live graph showing your internet speed and stability over time. 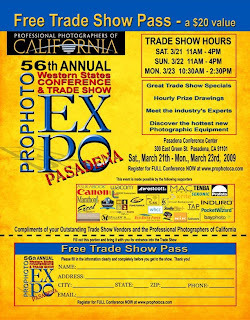 Come Join the StudioCloud team on March 20th-22nd at the ProPhoto Expo in Pasadena, California. Stop by booth #307 to see live demos and learn how StudioCloud can transform your studio. Those who subscribe at the conference will receive special discount pricing—this is something you won’t want to miss! Congratulations to the five lucky winners of a lifetime membership to StudioCloud Basic Suite, and the one lucky winner of a Free iPod Touch!!! "Hybrid Photography is a wedding and senior photography studio in San Diego, CA that prides itself on remaining fresh and modern while still creating timeless art. Owner and photographer Alyssa Lang is a self-proclaimed "full-on romantic" and can't think of a better way to spend a Saturday than photographing two people committing their lives to each other." 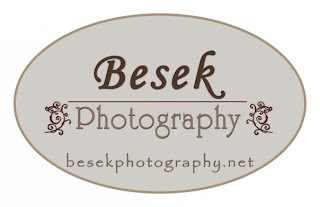 “I am Tracy Besek -- owner/photographer of Besek Photography. Besek Photography was quietly started in September 2007. I set out to specialize in families and pets being that I was a former retail manager in the pet supply industry, but have found my true love of photographing high school seniors, and quickly made a name for myself in Dearborn, MI. Using my strong business management background laid out the backend of the business before pursuing clients. Marketing has always been a strong suit and using creative word-of –mouth strategies have built from a mere 3 clients in the year 2007 to over 50 for 2008 with the hope of continued growth for 2009. "In 2001 after meeting at design school in Kansas, Jenny and Jon not only fell in love with graphic design and photography, but with each other. In the summer of 2005 they married in Kelowna. Jon and Jenny always had a passion of owning a successful photography and design studio. Having been blessed with amazing clients from both Canada and the United States, they would have never guessed it would have happened so soon! Today they photograph some of the most cherished moments experienced in life, and feel truly honoured to be a part of such significant traditions." Adrian Wedding Photography believes images should be captured through the experience of having FUN on your day! We are a husband and wife team that photographs together, plays together and laughs together! We have created a wedding experience from beginning to end. Enjoy a face to face discussion where we can talk about your day and offer advice on timing, locations and other resources. After Your Day, enjoy a viewing of your photography collection and look through our ever growing selection of products and display ideas. Because we are a creative studio combined through Adrian Photography and Adrian Design, you can feel confident you are receiving top quality and professional advice. Humbled by grace and confident by our passion, we believe in what we do. 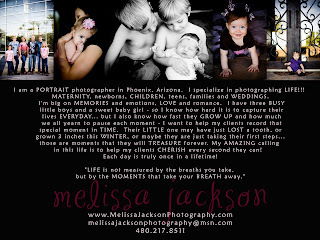 "I am a PORTRAIT photographer in Phoenix, Arizona. I specialize in photographing LIFE!!! MATERNITY, newborns, CHILDREN, teens, families and WEDDINGS. I'm big on MEMORIES and emotions, LOVE and romance. I have three BUSY little boys and a sweet baby girl - so I know how hard it is to capture their lives EVERYDAY... but I also know how fast they GROW UP and how much we all yearn to pause each moment - I want to help my clients record that special moment in TIME. Their LITTLE one may have just LOST a tooth, or grown 3 inches this WINTER, or maybe they are just taking their first steps... those are moments that they will TREASURE forever. My AMAZING calling in this life is to help my clients CHERISH every second they can! Each day is truly once in a lifetime!" Congratulations to the following winner of a Free iPod Touch!!! I was born and raised in the small town of Huntingdon, and have been photographing for the last 25 years and still loving it. I am very involved with my state association and was also the Past President of PA and Council Member for National. Come follow StudioCloud and become a fan! Just click on the image above! For the last few months photographers from all walks of life and around the world have entered the StudioCloud Lifetime Membership drawing. Five lucky winners have already been selected and will be announced soon. Thank you for participating and good luck in future StudioCloud drawings. RangeFinder is the premier monthly magazine for the professional photographer as well as a major sponsor of WPPI. For the month of March RangeFinder has selected StudioCloud as one of its Hot Pix of the month! Each month RangeFinder’s staff picks the hottest photography products on the market and features them in their magazine. It’s an honor to be selected as one of RangeFinder's Hot Pix for the month of March. We recently added several new updates to make using StudioCloud that much easier. Take a look at the following to keep you updated on the latest additions. 1. Two new tabs, products and services, have been added to the workflow. These new tabs allow you to view all of the ordered products and ordered services in one main table. This will be useful to studios who don’t do work based on orders but more on tasks that need to get accomplished. 2. In addition, you can now assign employees to specific orders, ordered products, or ordered services. Previously you could only assign employees to tasks. 3.Three new reports have been added under the printable reports tab located in the reports icon. These reports include: chart of accounts, breakdown of income, and breakdown of expenses. These reports are recommended by the PPA and have been added to help you not only better manage your studio but improve your profitability. 4. Several charts and graphs have been redesigned and customized to fit your needs. You can now view data in multiple ways such as bar graphs, pie charts and table formats. 5. Additionally, Income/Expense tracking now lets you mark an entry completed. This is useful for matching the entry to your bank account for reconciliation of transactions. Our team had a great time meeting all of you at WPPI in Las Vegas. Once again, this show was a huge success and we are busy getting everyone up and running on StudioCloud. We look forward to your insights and feedback! Come see us again next month at the Pro Photo Expo in California. The end of the tradeshow...we all survived! Thank you for being a part of the StudioCloud Community. Come see us in Vegas at WPPI! Part of the StudioCloud team will be heading to Vegas at the end of this week for WPPI (Wedding & Portrait Photographers International). Come see us in booth #1206 and enter to win some great prizes! Tell your friends who have been waiting to sign up that this is the time and place to do it. For three days only (during the tradeshow) they can subscribe to StudioCloud for special conference pricing. Also, while you are in town, come party with StudioCloud at the Photo Lovecats Giveaway Gala. You only have 12 hours to get on the waiting list at http://giveawaygala2009.eventbrite.com/ Every hour you will have a chance to win amazing giveaways from StudioCloud and other vendors. Recently the StudioCloud development team updated StudioCloud Mobile 2.0 to allow you to view jobs and tasks. Once you login to your account via the mobile interface you will see Jobs as the third item in the list right below Clients. If you click on Jobs you will see a list of your jobs that you have previously setup. Clicking on a job will show you a list of tasks for that job. In turn, clicking on a task will show you some of the task details. 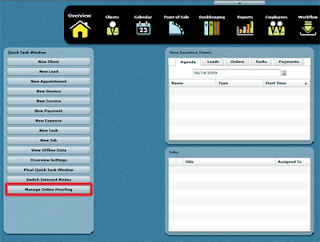 In addition, if you are a Professional Suite user you can even view which jobs and tasks are assigned to each employee. If you click on one of your employee's names you can see all of the tasks and jobs currently assigned to them. Finally, with the most basic information (name and description) you can create a new job. Once you create a new job or you have selected an existing job you can create a new task using name, description, and priority. We know alot of you have been patiently awaiting the new features that have now been released. Here are some of the most recent updates to StudioCloud's products. 1. You can now delete multiple users, products, or services at once. To use the group operations just mark the checkbox in the left-most column of the tables and then use the "Group Operations" button just above the table. 2. Track the individual cost of a product or service from within StudioCloud. To add the cost to a product or service just edit the product or service and use the "Cost" field. The product/service cost is currently utilized in producing the new report "Income, expense, and profit breakdown" which shows you a breakdown of quantity purchased, revenue, expense, and profit of products, services, and packages. In addition, the development team has made additional updates to the reporting section that should make managing your studio even easier. 3. You now have the ability to track your jobs from the moment you receive a lead. You can track who needs to complete what tasks and what needs to be done next to follow up with each client. Go under your Workflow tab and you will see a Jobs section. The new Jobs section helps you track all of your pre-order items while Workflow tracks everything once an invoice/order has been made. It is all tied together to give you a clear picture of where each job and order stands. 1. A new HTML invoice was added to the PSG 2.0. You can now see thumbnails of the ordered images in the invoice. The HTML invoice will eventually be added across all of the StudioCloud products. 2. When viewing images using StudioCloud PSG you have always been able to view B/W and Sepia and even crop pictures. With the most recent updates, any changes you apply to a picture will be saved and will be shown on the HTML invoice with those changes. 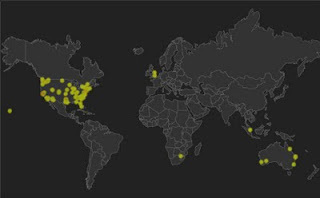 Welcome new StudioCloud users! We had a blast meeting all of you at Imaging USA in Phoenix. Thank you for your overwhelming response. We look forward to working with you. We are excited to have so many new photographers as part of the StudioCloud community! We will see you in Las Vegas at WPPI February 16-18th. Part of the StudioCloud team with Bev Walden at Imaging USA. Tim & Bev Walden (StudioCloud Board of Experts) hanging out after the tradeshow. A few of our new StudioCloud users. DeEtte Sallee (StudioCloud Board of Experts) stopping by to say hi. 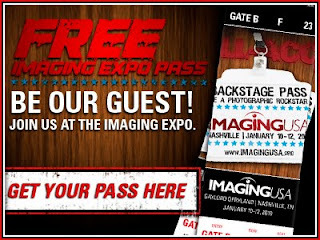 Come join the StudioCloud team from January 11th to January 13th at the Imaging USA Expo in Phoenix, Arizona. You can find the StudioCloud team at booth #709 where they will be doing live demos and giving away cool prizes. In addition, there will be special pricing for all new studios that subscribe at the conference. We would also like to encourage everyone to attend Drake Busath's, Tim & Beverly Walden's, and DeEtte & JB Sallee's classes at Imaging USA. It looks like our Board of Experts have a busy week ahead of them! StudioCloud is giving away 5 free lifetime memberships during the month of January in celebration of the launch of StudioCloud 2.0. This contest is open to everyone. So if you have been a loyal StudioCloud subscriber for years or if this is your first introduction to StudioCloud go to https://studiocloud.com/lifetimecontest.html and enter for a chance to win. Entry deadline is January 31st, 2009, 12:00 pm.